Contact our polite and kind client support representatives right now. Ask for more info about our diligent and thorough upholstery and sofa cleaning method. Make an order free of charge right away! Just use this number 020 3746 5234 at any convenient for you time! We will be happy to organise our hassle-free service whenever possible for you. Dear customers, we are glad to tell you that our company is always generous with special deals and discounts. Please note that if you order our high quality upholstery and sofa cleaning service in South Lambeth SW8 with other service, you will get the second one on half price. We recommend you our professional mattress cleaning procedure on a budget. We can add bed bug treatment to it. The process is absolutely child-safe and environment-friendly. We use ultra-violet lighting system to kill the microbes and to disinfect the fibres without making you wait for the mattress to get dry for a long time. 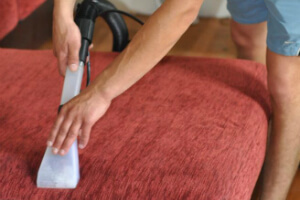 Whether you require regular assistance in your home or office upholstery cleaning, or you have just lately made some stains you can’t remove, we can help you with a suitable solution. Our work is centered on the unique approach to each client, but we always provide perfect final outcome. We tend to provide personal approach and we never ever leave a place with incomplete job. The careful and hard-working South Lambeth SW8 sofa and upholstery cleaners start with a primary inspection of the furniture. This helps them figure out the most appropriate for your personal case cleaning solution. Hard job, filthy or wasted sofas can't shock us! We can easily assist you get rid of any type of stains, including paint, blood, tea, coffee, vomit, wine and oily stains. We also have innovative formulas for stubborn spots like machine oil, ink or glue stains. Stain treatment is a significant part of our advanced South Lambeth SW8 upholstery and sofa cleaning routine. We vacuum and fully clean the damaged place, dust and safely disinfect the whole piece of furnishings. In addition to these, we employ one of two common and efficient cleaning methods with 100% fulfilling final outcome. Dry upholstery and sofa cleaning technique is suitable for delicate and 100% natural components. We use no water or liquid products. The treatment consists of only one contemporary eco-friendly agent that dissolves the dust deeply inside the materials. Our revolutionary dry solvent technique is applicable on wool, cotton, linen, silk, plush, chenille, nubuck, leather and viscose. 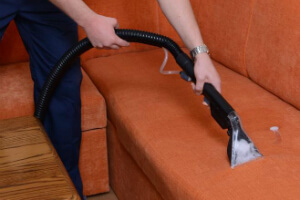 Steam upholstery and sofa cleaning South Lambeth SW8 is a more thorough sanitizing method. It is a hot-water extraction method we employ with our latest devices. Speaking of which, know that you don’t have to give us anything for the services. We deliver everything necessary. Steam cleaning is usually recommended for synthetic, old and very dirty items. Our environmentally friendly sofa and upholstery cleaning company uses only natural and organic solutions with no harmful impact either on your living space, or on the environment. Don’t spend more time, but make a reservation for our top-notched upholstery and sofa cleaning service in South Lambeth SW8 right now! Get a totally free quotation today! Just call us on this phone number 020 3746 5234!